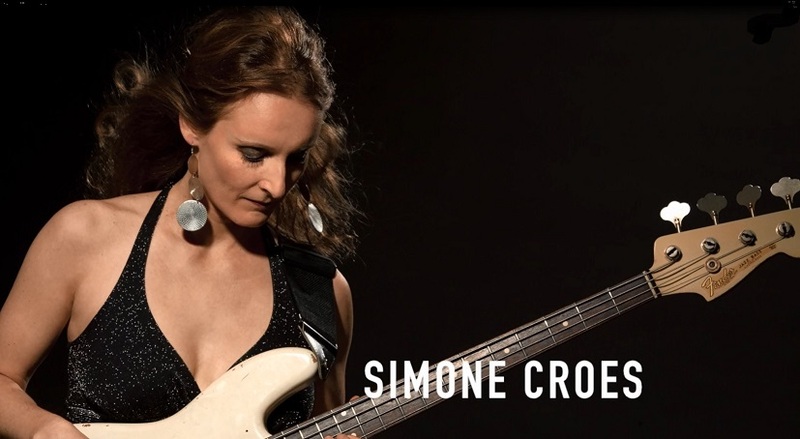 Simone Croes, bassist, composer, teacher and guitarist, from Amsterdam, The Netherlands. I started with guitarlessons at the music school (for children), when I was 9 years old. When I was 13, I discovered the bass guitar, and fell in love with it! From then on I played in different bands in my hometown area. At first, I was using a bass guitar from the music school, and then when I was 15, I bought my very own bass guitar, which I had saved up for, doing different jobs, during school holidays. After music school, I took lessons with Leslie Lopez in Amsterdam. He introduced me to the music of Jaco Pastorius, Marcus Miller, Stanley Clarke, and Darryl Jones, and this was when I made up my mind that I wanted to continue with music. In 1991 I was accepted by, and started studying at the Conservatory in Hilversum (In 1998 the school relocated to Amsterdam), and in 1997, I became the first female electric bassist to graduate at this school. At first, after the Conservatory I was especially active in the African and Salsa music scene in Amsterdam. The groove and the intuitive way these two music styles are played is something that has always inspired and resonated with me. This formed a good additional basis for me, after the Conservatory. In 1997, I organised a tour with a Salsa band to Cuba. We performed at different locations in Havana, (we also performed with the Cuban band ´Anacaoana´). I also became a member of the South African band, `Afro Vibes`. In 1999, we toured through South Africa, including playing at the Grahamstown Jazz Festival. Both these tours made a huge impression on me, the way the people experience music, as well as their exceptionally friendly hospitality. Television performance in the Margreet Dolman show. That same year I toured in Curaçao with a salsa band. Performed with Anacoana (Cuba´s longest existing female Salsa band), in Casa de Musica, Havana. Toured South Africa with Afro Vibes. In 2001, the band leader of Afro Vibes, passed away. However, a year later, the Afro Vibes toured The Netherlands, (including the Bimhuis,and the Melkweg), with the South African singer Suthukazi Arosi (Best Southern African Artist Kora Award 1997). See video above. I performed at the Tribute Concert for Jaco Pastorius, in the Melkweg, with his sons Julius and Felix under the musical direction of Victor Bailey http://Jacop.net/news4.html. Bassist for 10 years with the band “Too Hot To Handle” (2002-2012), a Dutch coverband. We have done a variety of things: we accompanied stand-up comedians, Javier Guzman, Sarah Kroos and Claudia de Brey, toured through Syria, performed at a few large company functions and festivals (including the 5th May Festival, on the Museumplein, in Amsterdam), and we participated in the `Clash of the coverbands` in Paradiso. Ivo Niehe´s Theatertour, including the finale with the `Theater show`, consisting of 3 performances in the Carrè. During this tour I performed with Andre van Duin, and Liesbeth List, as well as others. Marynka Nicolay´s Woman in Paradise project, in Paradiso, Amsterdam. Here, I accompanied Ellen Ten Damme, and pianist Karsu Dönmez, as well as others. After years of performing with, and accompanying others, I decided it was time to do my own thing. I am happy with all the people I have worked with on this project, especially Jay-Tee Teterissa, with whom I did the mix of the tracks. When I put a teaser video online with clips of the music from my upcoming album, it was picked up by the American Website Notreble.com. 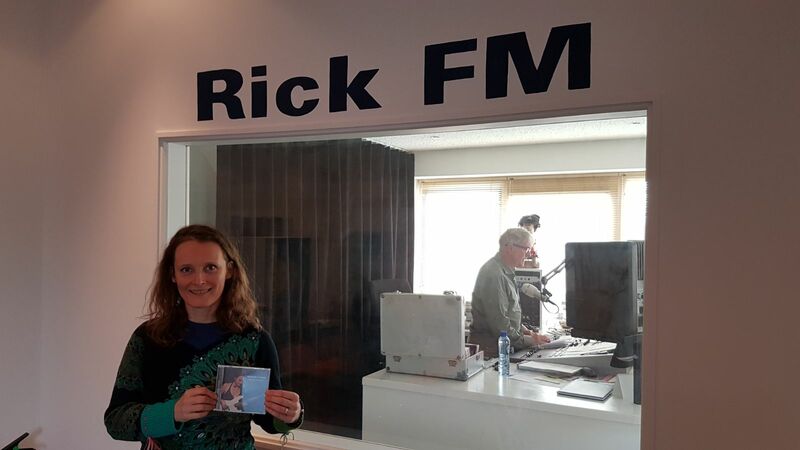 My debut CD was released on April 19th 2017 in the Melkweg in Amsterdam. You can read the highlights of the press reviews translated into English on the News pages. My album will be released online soon. I am touring in the Netherlands right now with my band, the musicians are: Sietse Huisman on Drums, Stefano de Smaele on Keys, Folker Tettero on Guitar and Willem Hellbreker on Saxophone and Flute. since 2003 I also teach at the Music Academy, the music school of the International School in Amstelveen (ISA). Apart from teaching bass guitar there, I am also the teacher and producer of 3 pop bands, who perform regularly and have recorded a CD every year. In 2002, I completed the Music Production course at the SAE institute in Amsterdam. I compose and record basslines, ringtones etc. on request, while taking the musical taste of the instructing party in consideration. I have a dedicated yoga practice. I do different kinds, including Bikram, Yin and Dru yoga. 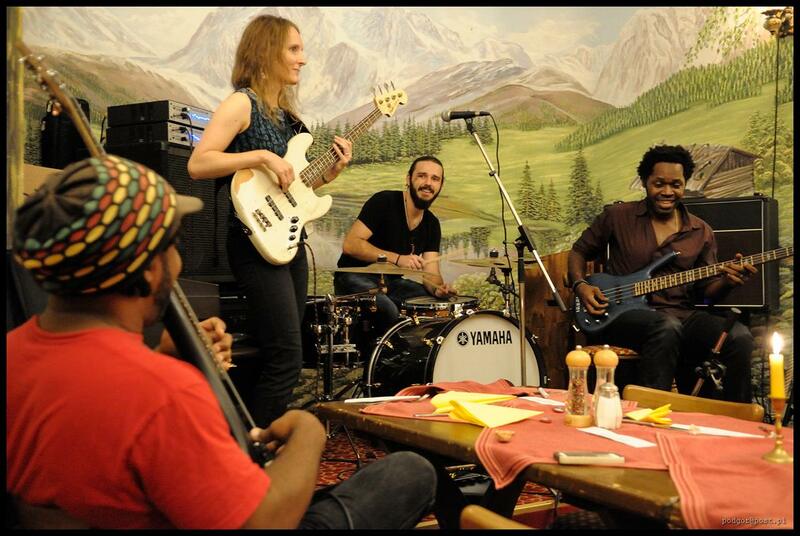 Besides my experiences mentioned above I have been influenced by Stanley Clarke, Marcus Miller and Victor Wooten.